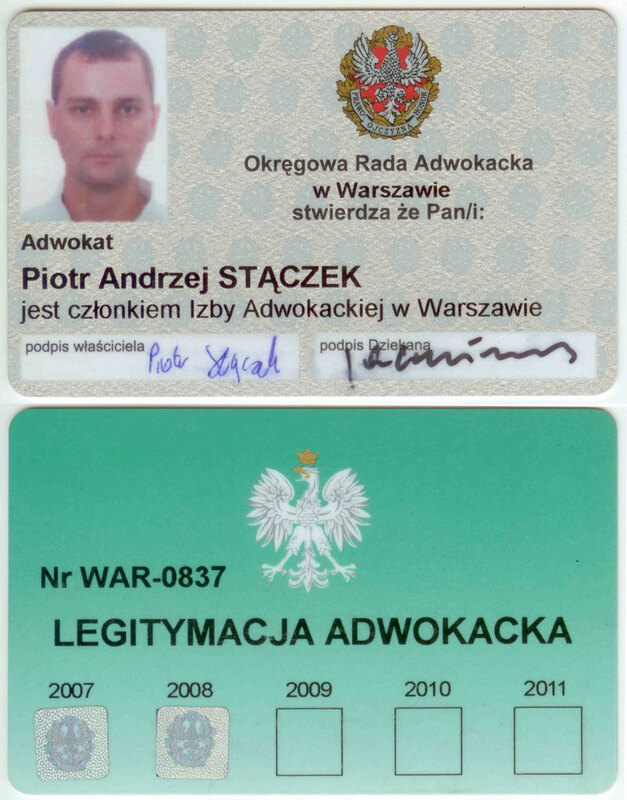 Piotr Stączek is qualified to practise as an advocate (barrister, trial lawyer) and has been admitted to the bar by the District Bar Council in Warsaw (registered number: 1909). 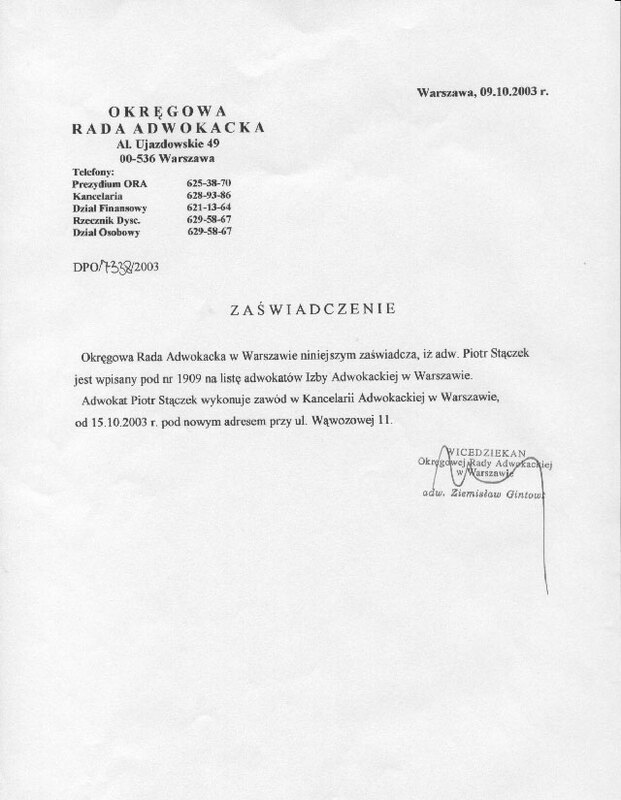 According to the Law on the Profession of Advocates, an advocate may provide a wide range of legal services, including the following: giving legal advice, providing legal opinions, preparing drafts of legal documents, and representing clients in courts as well as before various government authorities. An advocate authorized by a client may represent the client nationwide. An advocate is entitled to represent clients in courts of all levels, from district courts to the Supreme Court, the Supreme Administrative Court, and the Constitutional Tribunal. An advocate may also represent clients before all national and local government administration authorities. An advocate's qualification to practise law is not limited to a particular field of law, as is the case with legal advisers, but includes all areas of legal practice. Thus, advocates may conduct civil, criminal, and administrative matters and cases in the field of commercial law or family law.